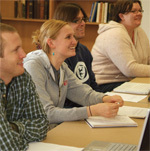 Continuing Education: How Do We Make the Best of It? After the Apostles: Christianity in the Second Century, by Wagner, Walter H.
Daniel: A Commentary on the Book of Daniel, by Collins, John J. Religion in Public Life: A Dilemma for Democracy, by Thiemann, Ronald F.